Select different markers, arrows or doodles. Add Text with different fonts and Colors. Tap done button and use your own sticker immediately. OMG! You don't have the sticker with the correct words to fix a critical grammar error! 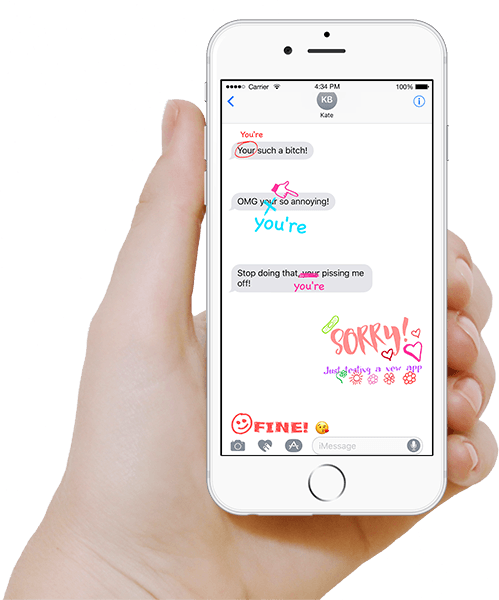 With my.comment, you can now create your stickers with your desired words immediately. Create Sticker with any languages, fix grammar mistakes in any languages. 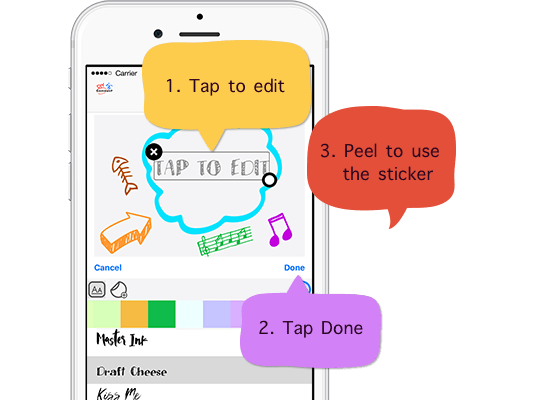 Create stickers with markers and text in different colors. With 200+ doodles and 70 Fonts, you can create cute and colorful stickers in hand-written style. Download it now! FREE for a limited time only.